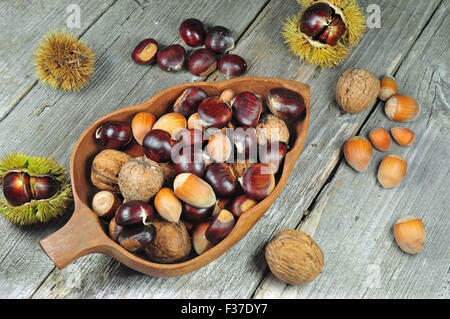 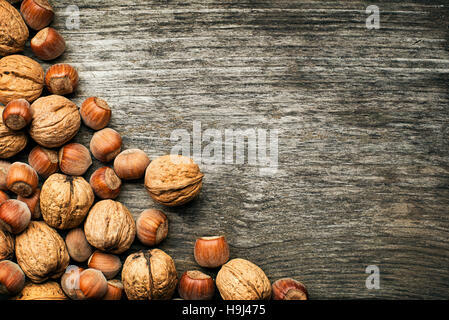 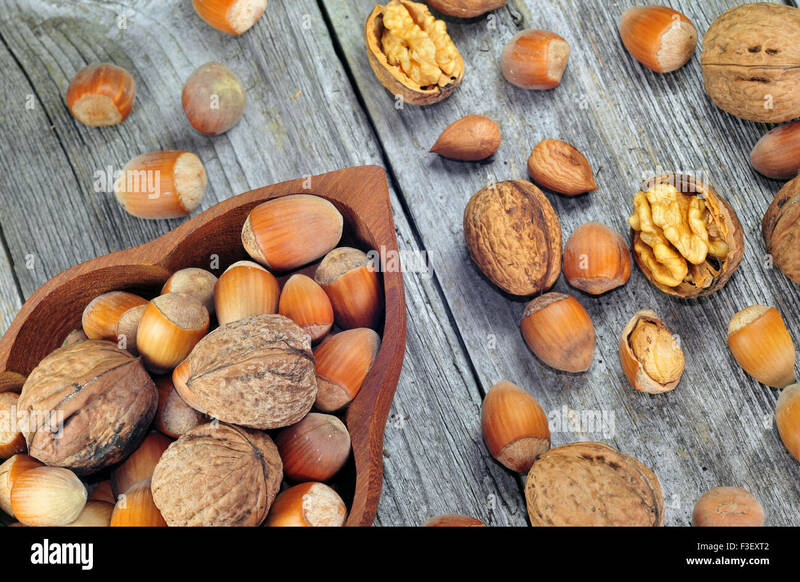 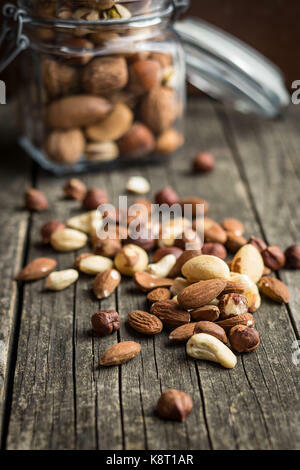 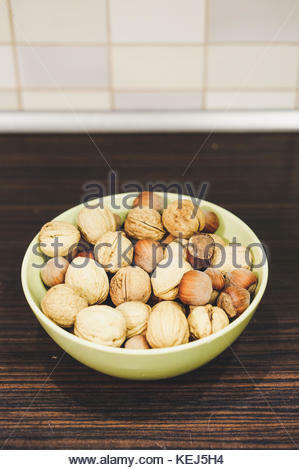 Different types of nuts. 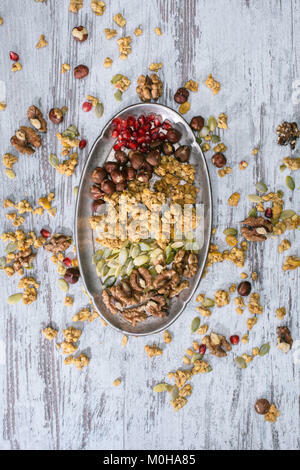 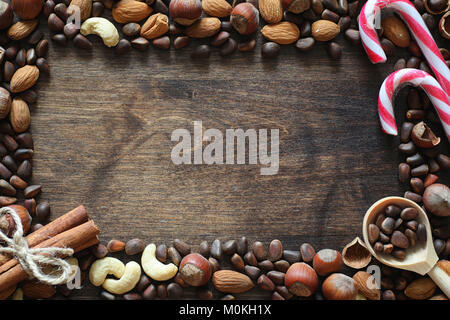 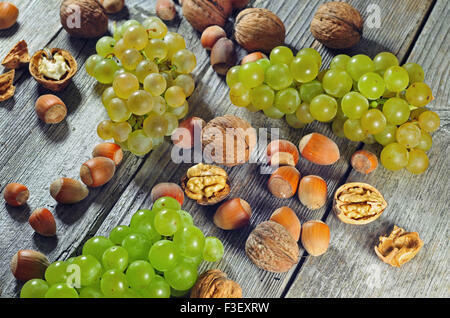 Hazelnuts, walnuts, almonds, brazil nuts and pistachio nuts on old wooden table. 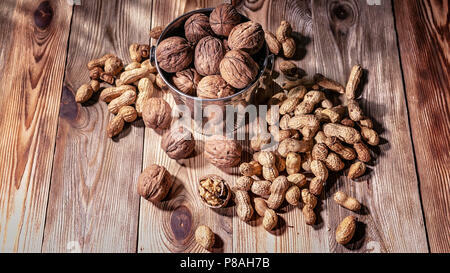 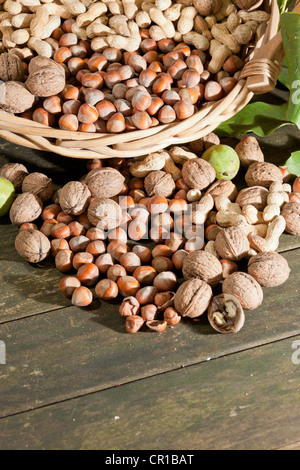 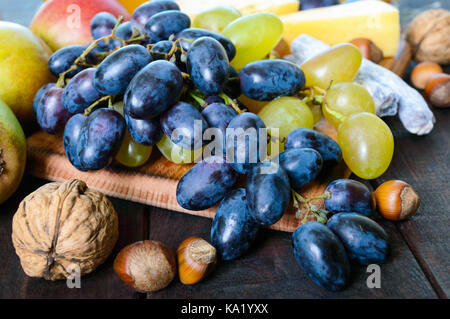 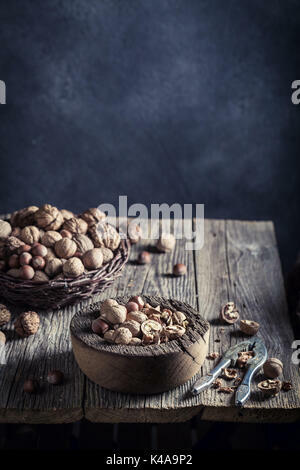 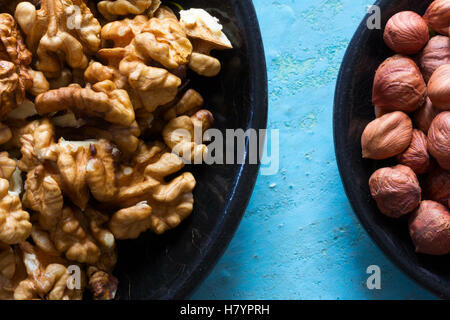 Part of the round wooden plates with the cleared walnuts and hazelnuts on a blue background.